xoJane is a online magazine where "women go to be their unabashed selves." xoJane has been named one of Forbes' "Top 10 Lifestyle Websites for Women," and garners over 2 million unique visitors every month. 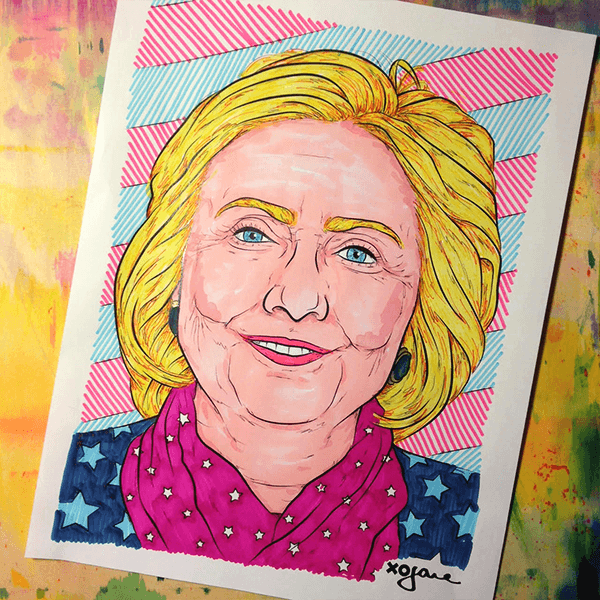 I pitched an illustration project to xoJane that capitalized on two cultural phenomena - the enormous rise in popularity of coloring books for adults (particularly as a stress-releaser and meditative exercise), and the three ring circus that has been the buildup to the 2016 presidential election. 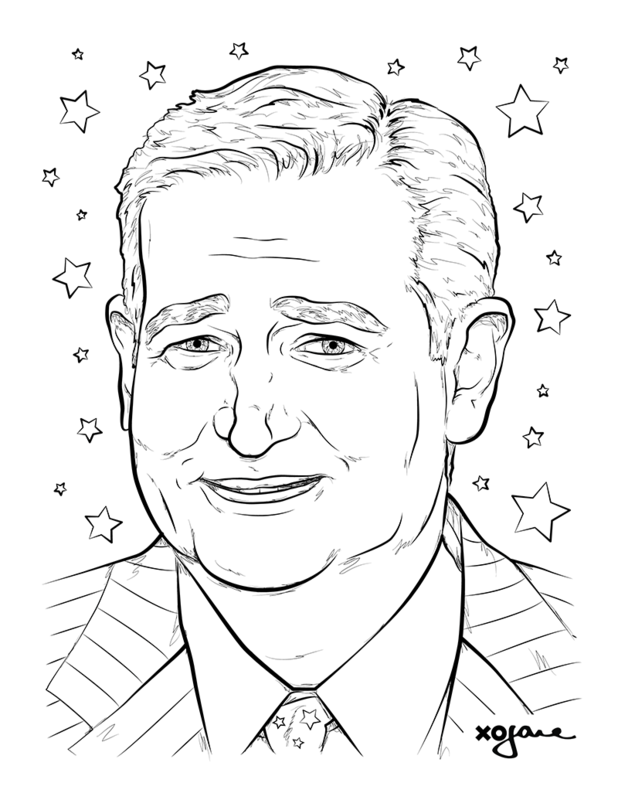 I thought it would be hilarious and highly relevant to create a series of coloring book pages featuring the remaining presidential candidates - Clinton, Trump, Sanders and Cruz (as of Spring 2016). By creating a downloadable PDF for Americans to print out and enjoy via xoJane's enormous reach, my hope was to give people everywhere a creative outlet to color out their political frustrations and create a social media opportunity for endlessly unique UGC of people's colored pages. Click here to view the full project, and download your own!